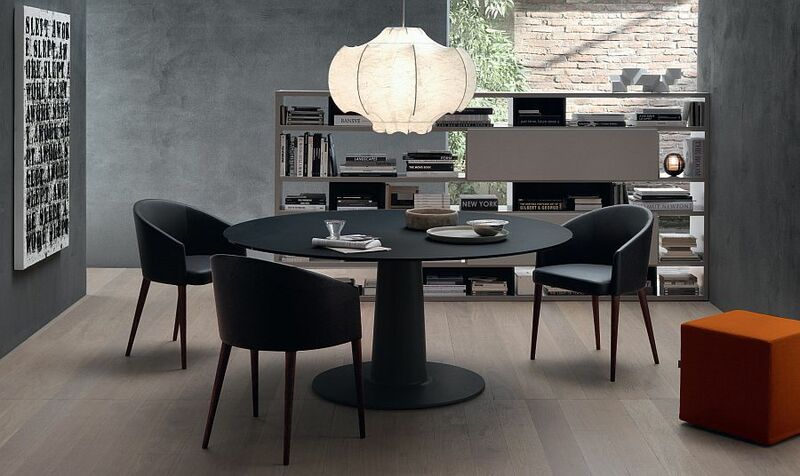 With the advent of the open plan living area, the idea of an exclusive dining room is quickly fading away from the world of interior design. 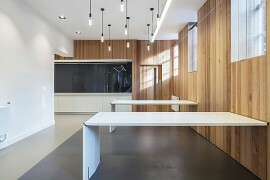 Add to this the quest of many designers and homeowners to find that ‘extra room’ for a possible home office, playroom or media room, and the dedicated dining room is indeed becoming a rarity. 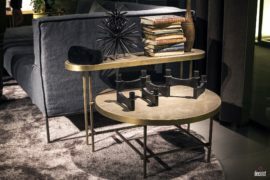 This changing design trend has opened up a whole new style of tables that not only help shape a gorgeous dining room, but also fit in perfectly with the theme and style of your contemporary living area, kitchen or even home office. 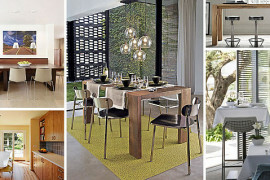 Today, we have four such gorgeous tables from Jesse that promise to steal the spotlight! 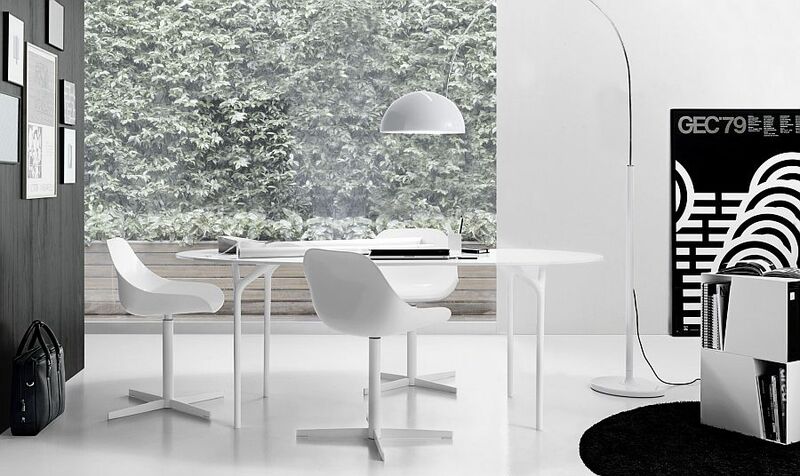 Designed by Enrico Franzolini, the Moon and Moon Vetro are ideal for those looking to create a small dining area or home office with plenty of adaptability in limited space. 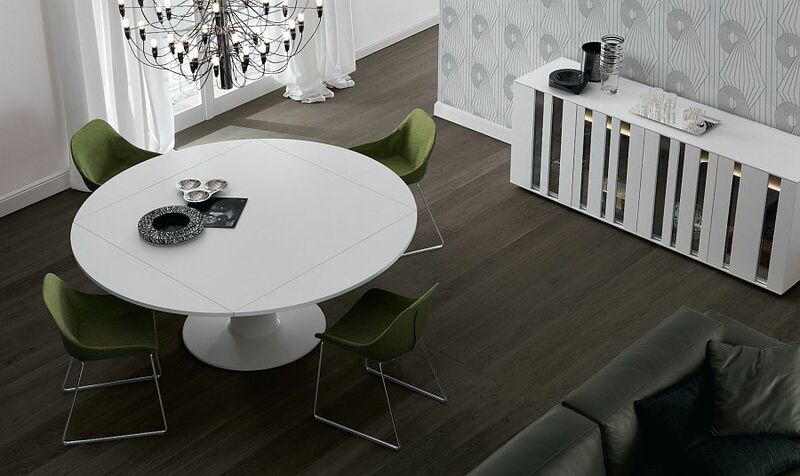 These lovely transformable tables can shift between a square and circular top with ease, and their sleek base saves up on plenty of foot space. 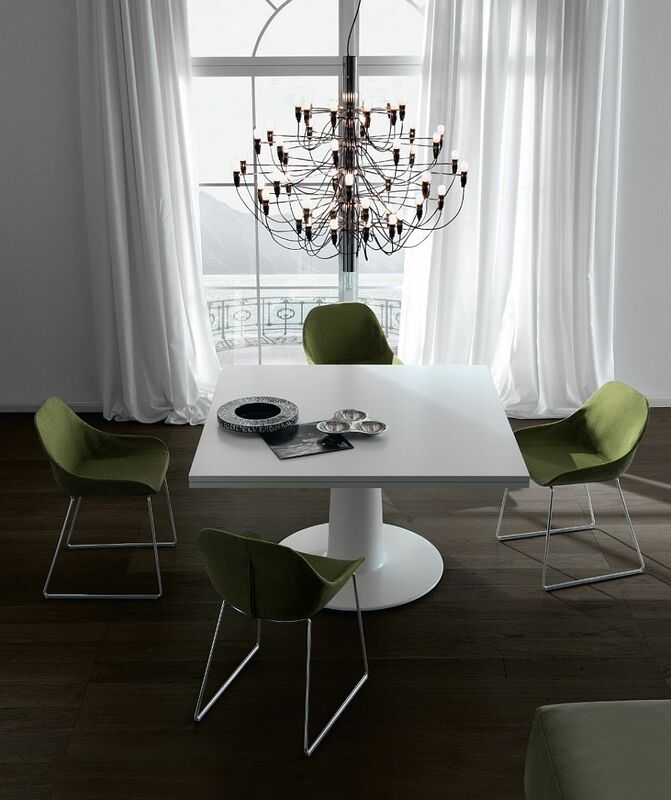 The table’s pedestal seems to be inspired by the iconic Tulip table in its silhouette, giving it a touch of timeless charm. 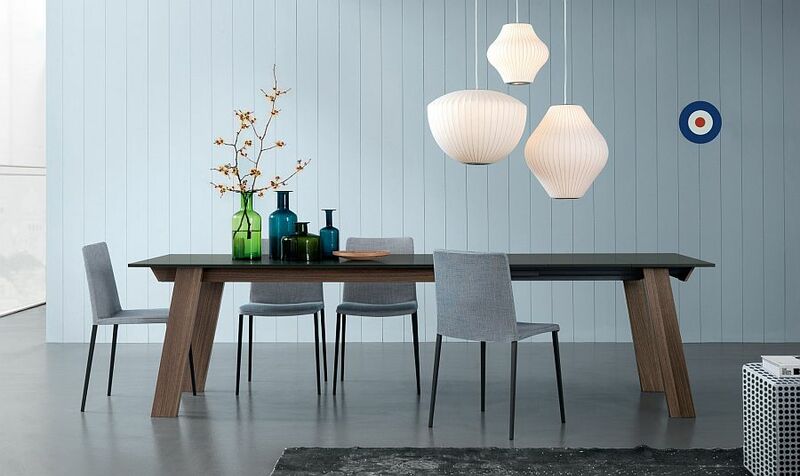 While Moon is all about space-saving elegance, the gorgeous Victor table with its solid wood telescopic legs and sleep top combines the warmth of wood with contemporary aesthetics. 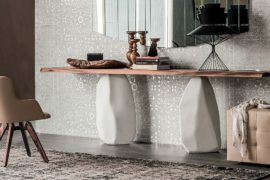 This Pocci Dondoli creation seems to bring along with it a touch of traditional charm while staying distinctly modern. 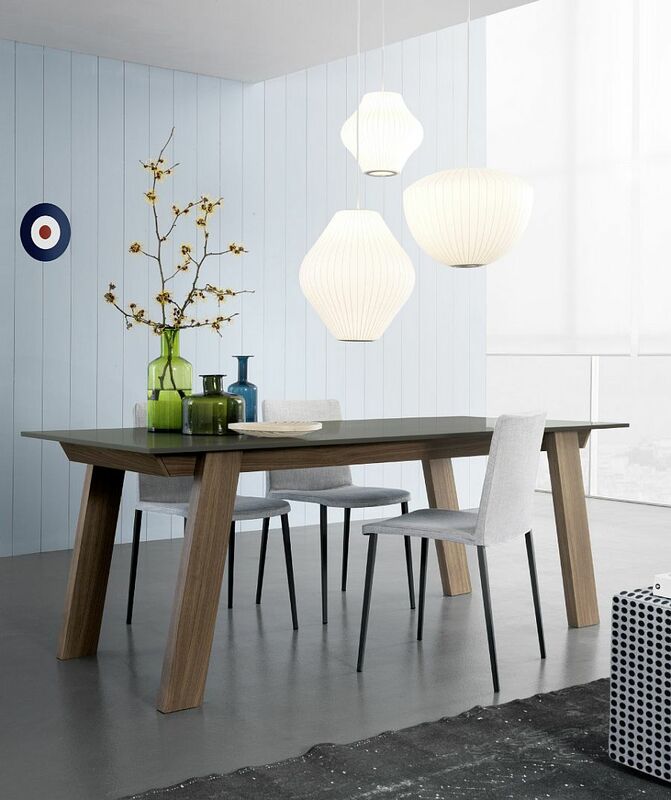 The blend of wood with the stylish table top allows it to fit in rooms with varying themes and styles in an effortless manner. 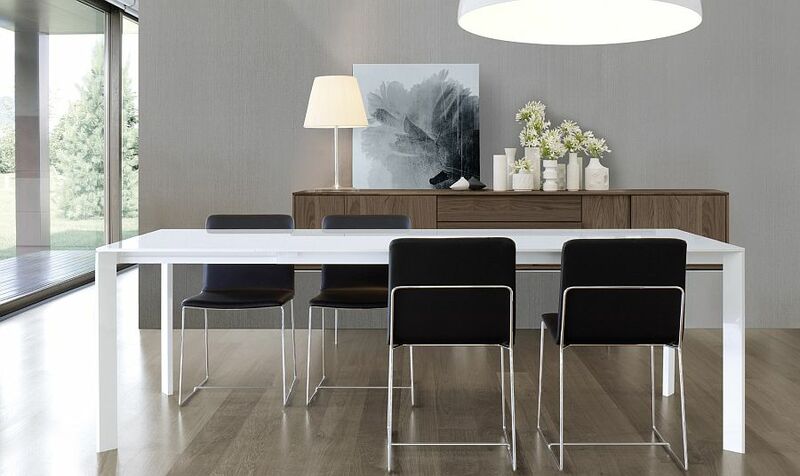 Another rectangular beauty but with contrasting style, Sensai by Decoma Design is a minimalist masterpiece that is equally at home in the dining room and the home office! 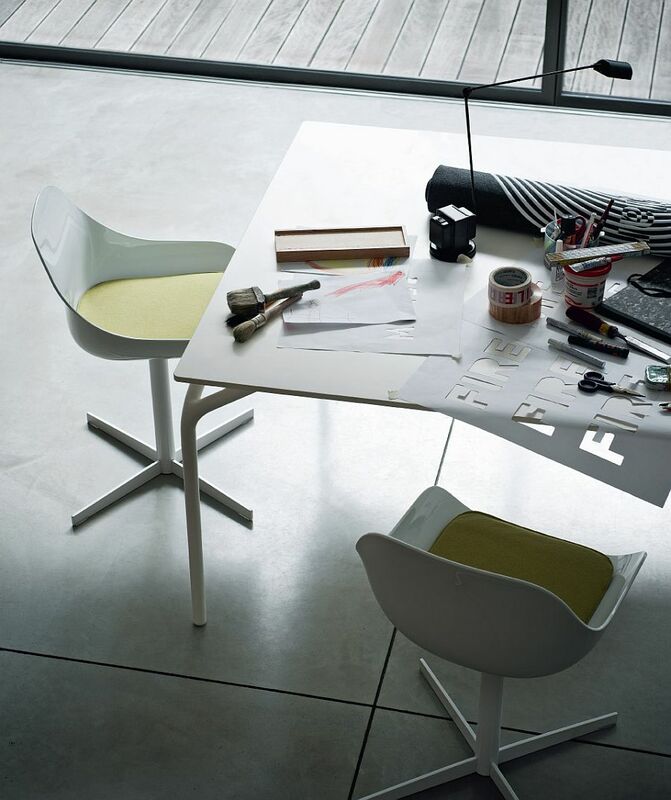 A simple design, sleek form and clean, straight lines make it an ideal choice for those who love modern minimalism. 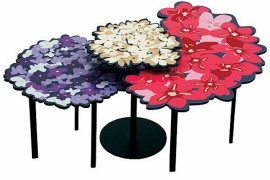 Coming with an extending wooden top and aluminum legs, the delicate form of the table gives any room it adorns a cheerful and airy appeal. 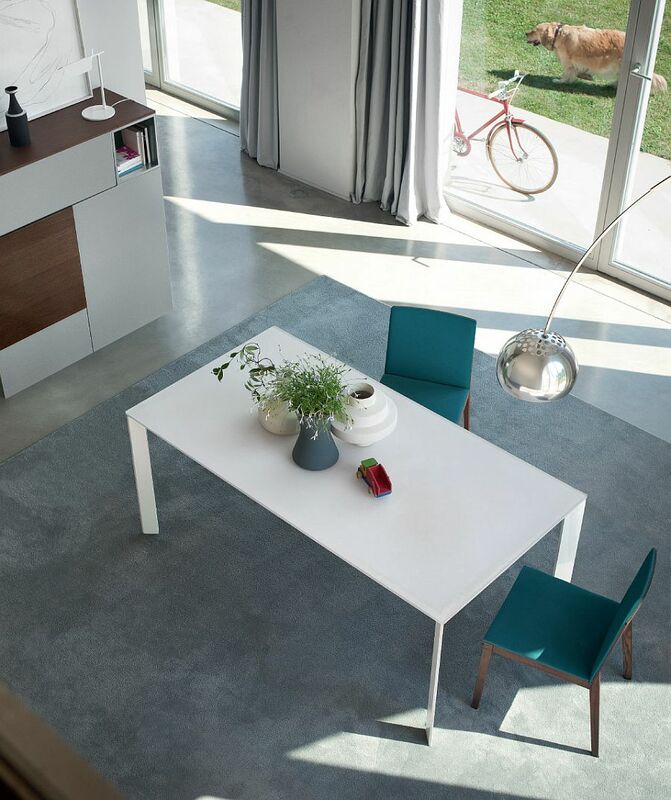 While it might not seem anything like a traditional dining table, Why is a smart choice for a young couple in a studio apartment who might not really need an extravagant table. Just clean up the desk space, and it also serves as a wonderful workstation! 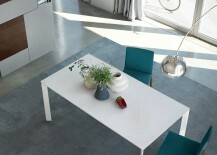 It’s also a great choice for those who might want to add a small table to the kitchen that acts as a breakfast nook. 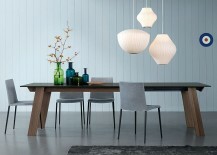 Available with a square, rectangular, oval or round top, this table is all about functionality!